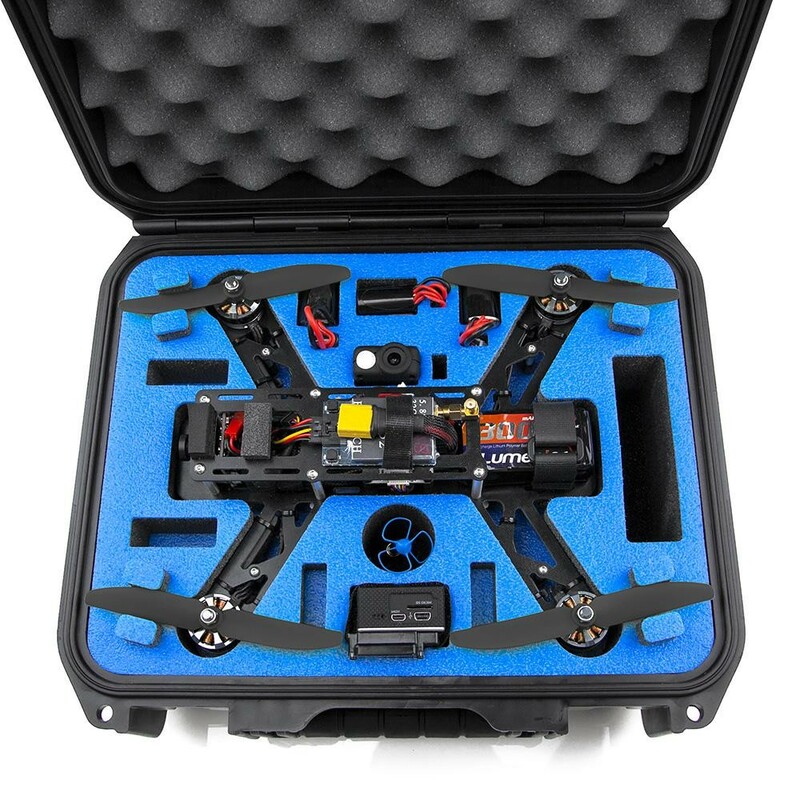 The QAV250 Professional Travel Case has been designed and customised specifically for the QAV250 G10 Mini FPV Quadcopter ARTF Kit & QAV250 Carbon Fiber Mini FPV Quadcopter ARTF Kit systems and the most used accessories out in the field. 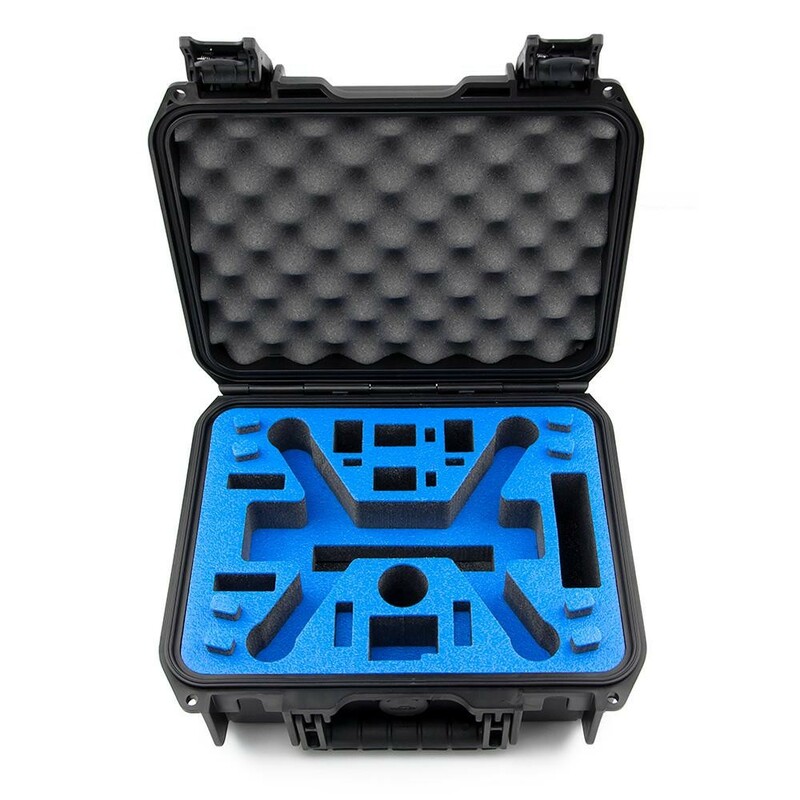 The travel case is made from injection-molded ultra high-strength polypropylene copolymer resin, this means that the case is strong, watertight, has dust-proof properties and its submersible design is resistant to corrosion and impact damage. 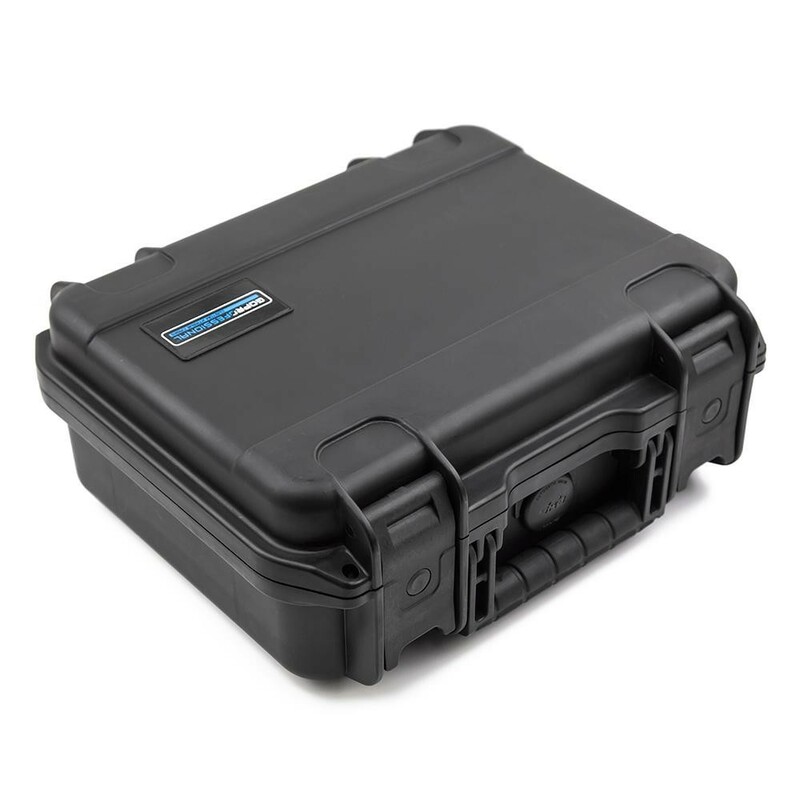 The key features of the QAV250 Professional Travel Case are the molded-in hinge, strong latch system, snap-down rubber over-molded grip handle, and automatic purge valve. 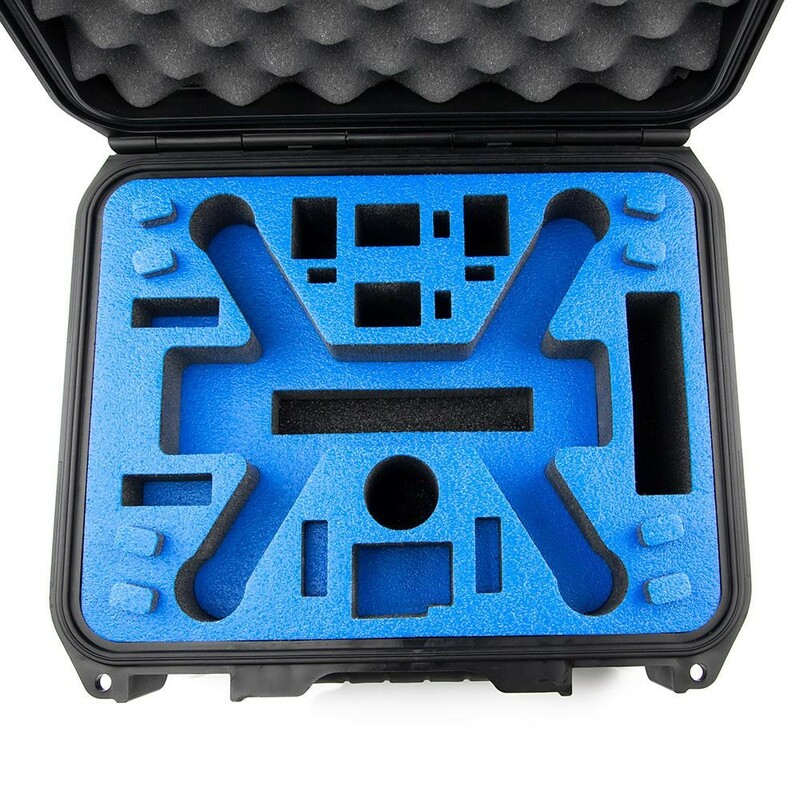 The Travel case is resistant to UV, solvents, corrosion, fungus and impact damage. There are multiple storage areas in the case which allows secure transport of the QAV250 Mini FPV Quadcopter, there are propeller chocks to make sure the propellers are not damaged when the case is closed. 1 x Large cut out and four smaller for additional parts storage. Very good case indeed, nice finish of inside foam, very tough on exterior!